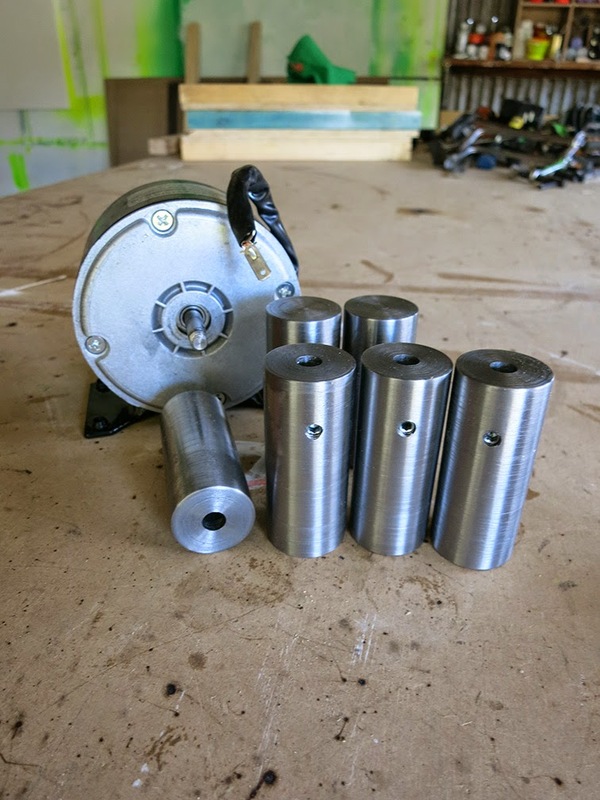 A fairly straight forward lathe job producing a set of rollers that fit an electric motor. These particular ones will be fitted to a set of stationary cycle trainers and run in reverse, generating electricity, rather than using it. Look out for Jack Ladd's Leg powered cinema coming to a site near you soon.